Our Core Offer is designed to provide essential access to; support, guidance, and opportunities for every club throughout Wales. This is to help them be the best they can be. 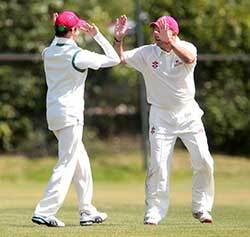 By affiliating to Cricket Wales, clubs automatically become part of the ECB. Our most recent Core Club Affiliation Offer is available to view here Click here. 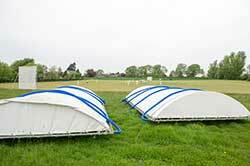 is the ECB's standard for high quality community cricket clubs. It shows that a club provides the right environment, which ensures the welfare of members and encourages everyone to enjoy sport and stay involved throughout their lives. An ECB accredited club is recognised as a safe, rewarding and fulfilling place for participants of all ages as well as helping parents and carers know that they're choosing the right club for their young people. For further information about ECB ClubMark please Click Here. Raising funds is one of the biggest challenges facing cricket clubs today. The ECB has a range of resources and funding opportunities to support clubs in Wales. A specialist document created for Wales, details what funding opportunities the ECB are able to provide in Wales. Click here to view. For more information please visit the ECB Website Click here for ECB Club Funding Support or contact your local Development Officers . The recruitment of new junior players in Wales remains positive. Like many other team sports retaining young players in the game is an increasing challenge. Research commissioned by the ECB has been used to produce a suite of tools and resources to help clubs address the drop off amongst players aged 14 - 25. With player numbers in England & Wales dropping by 7% and the number of abandonments and cancellations on the rise, it's vital that we find ways to get cricket games played. When captains, coaches, clubs, leagues, groundsmen and officials work together to get the game on, everyone wins. Let's make every ball, every run, and every game count this season! Click Here for "Get The Game On". The Club in question will use the information provided on this form, as well as, other information it obtains about the participant to administer his/her cricketing activity at the Club, and in any activities in which he/she participates through the Club, and to care for and supervise, activities in which he/she is involved. In some cases this may require the Club to disclose the information to County Boards, leagues, and clubs and to the ECB. In the event of a medical safeguarding issue arising, the Club may disclose certain information to doctors or other medical specialists and/or to police, children’s social care, the courts and/or probation officers and, potentially, to legal and other advisers involved in an investigation. As the person completing this form, you must ensure that each person whose information you include in this form knows what will happen to this information and how it will be disclosed. Your Junior league will use statistical information whilst Cricket Wales / Glamorgan Cricket will also use the information for statistical purposes and the distribution of cricket newsletters, for which there will be options to unsubscribe. There will be no selling of information to any third party.